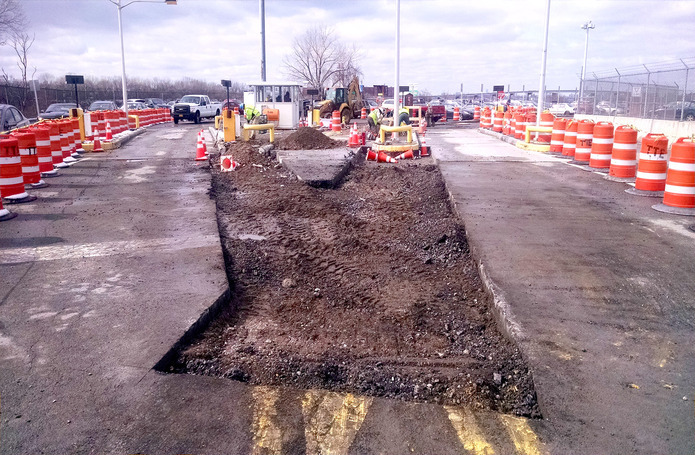 This project entails low and high voltage traffic infrastructure upgrades with sophisticated programming at the perimeters of the Marine Air Terminal and Terminal A of LaGuardia Airport. It requires a high security clearance as well as SWAC screening for on-site staff. Upgrades consist of the furnishing and installation of ITS equipment, which includes portable Variable Message Sign (VMS), subsystems of wireless communication equipment and software for workstations or servers on Authority network. Additional upgrades include Travel Time Subsystem (TTS), readers and antennae, and data interface; Vehicle Detection Subsystem (VDS), field equipment and communications equipment and software; connecting Central traffic signal management Subsystem to existing traffic signal equipment via wireless or fiber-optic communications to existing Authority centralized signal management system, and Closed Circuit Television (CCTV), camera subsystem with communications equipment.